1. To relight (a fire). 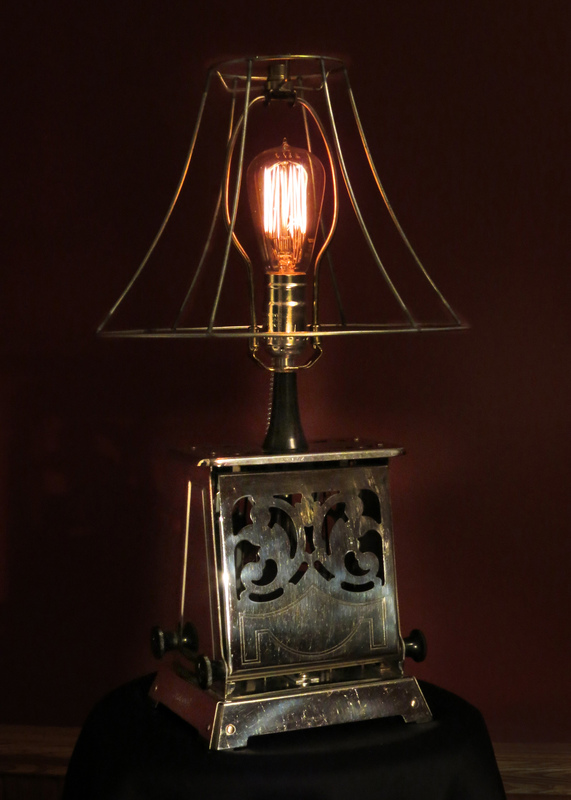 Rekindled Lighting takes vintage, antique and discarded objects and repurposes them as functional art – either lamps, clocks, candle holders, or robots (whose functionality is to make you smile) . Most of the components are objects that have outlived their original usefulness and we enjoy giving them new life either individually or in ensembles to make a product that is elegant, whimsical and definitely not a big-box-store item. We design in all sorts of styles, from art deco to steampunk – whatever is suggested by the object – and these one-of-a-kind items will act as great conversation pieces in your home. Please enjoy browsing them. I hope you find them as much fun to look at as they were to make. Rekindled Lighting is located in Ottawa, Ontario, Canada.